MAIN GAUCHE is completely funded, and raised $75,171 (+578% of our original goal)! MAIN GAUCHE Kickstarter ends in 36 hours – flat rate shipping added! 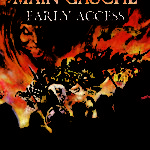 MAIN GAUCHE – Kickstarter exclusive artwork by Dejan and Jussi now available! MAIN GAUCHE – New Stretch Goals Announced! MAIN GAUCHE Sneak Peek – all 18 regular Professions!